Rear Axle Truss Ford 8.8 To Jeep ZJ TNT Customs. Swap a Ford 8.8 into your Jeep ZJ. Designed to help distribute the load put on the rear housing at any one time, TNT Customs 3/16 inch formed steel axle truss is ideal for all projects. 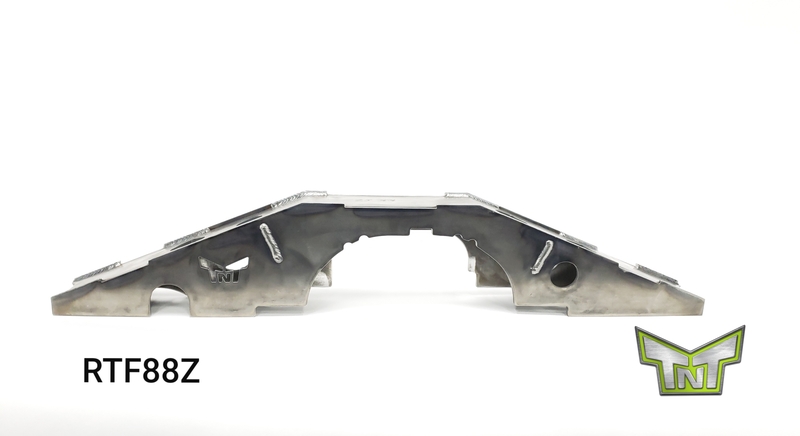 With the upper control arm mounts available in the factory positions and our interlocking coil, shock and lower control arm mounts for your Jeep Grand Cherokee ZJ TNT Customs Ford 8.8 axle truss makes swapping in an 8.8 a breeze. Our new UCA mounts provide you with raised mounting holes to improve control arm geometry on short arm lifted rigs. 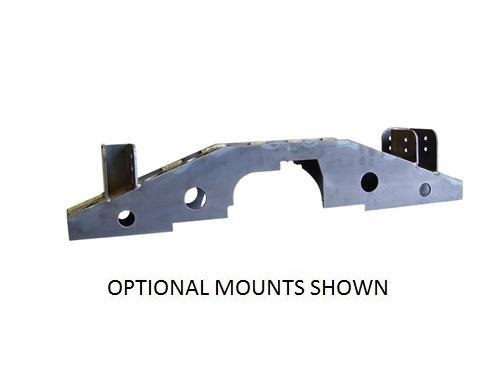 By utilizing the higher mounting location as well as our high clearance lower control arm mounts you can retain near factory geometry with up to 3 inch-3.5 inch of lift providing you with better driveability over a standard control arm mounting. All Mounts are optional and will need to be chosen from the related items tab. TNT recommends the use of at least adjustable upper control arms when installing our axle truss. Fixed length lowers can be utilized although when combined with our high clearance lower control arm mounts 1 inch of wheelbase stretch will occur. This additional wheelbase is beneficial in both fixed and adjustable control arm applications when trimming is needed to run larger tires. Due to the construction of the ZJ Grand Cherokee rear wheel wells it is easier to trim the back of the wheel well when additional tire clearance is needed. By moving the axle rearward we give you the ability to better utilize this extra space as well as increase clearance in front of the tire. Our HD Coil Buckets are designed so that proper coil placement can still be achieved when moving the axle rearward. Control Arm Mounts are not compatible with factory control arms. Minimum of 3 inch lift is required for install. All TNT Customs axle trusses require welding to install. We strongly recommend using a certified welder for any welding tasks.